"If its good, make it better!" 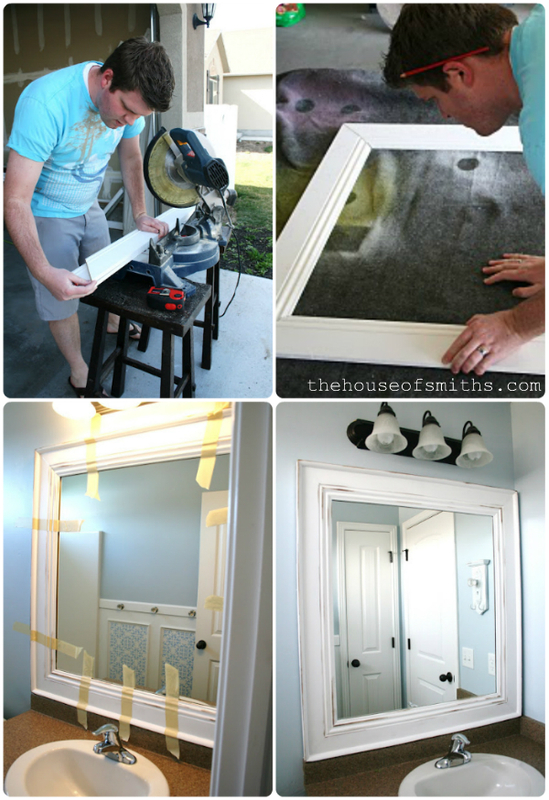 Remember our DIY Framed Mirror Tutorial from a couple years back? 1. Most everyone has builder-grade plain mirrors. 2. It's an affordable way to gussy up your space and add personality. So when the MirrorMate company emailed me and asked if I thought my readers would be interested in a Mirror Mate giveaway, I already knew the answer... "No cutting or painting involved to get a cute framed mirror???" Sign me up!... easiest DIY project ever, and we're ALL about that. I wasn't all that familiar with MirrorMate.com, but after exploring their site for a bit, and realizing that some of my good blogger friends had already done tutorials and reviews on their great products, I was in love! 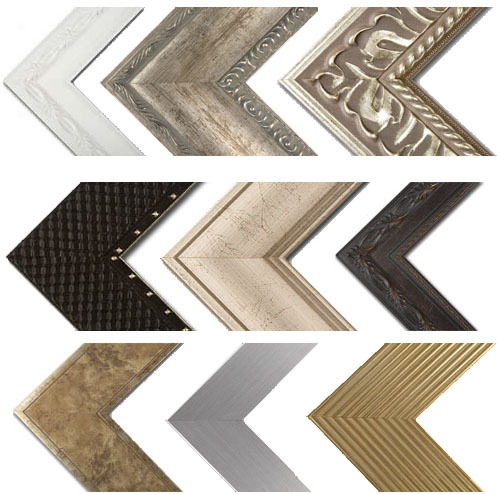 Mirror Mates carries custom made frames that you can apply to any existing mirror in your home. 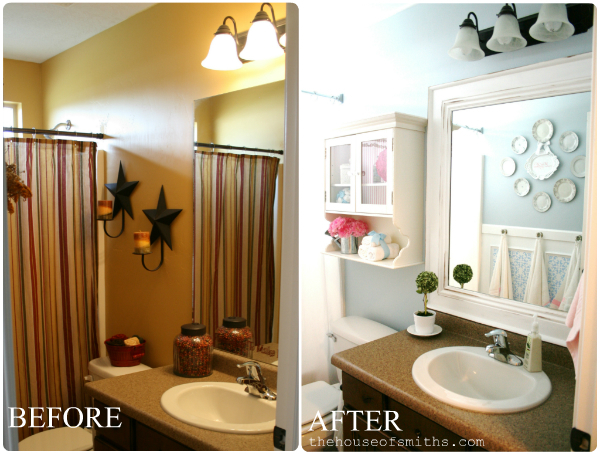 Making a plain ol' wall mount mirror in a bathroom, for example, go from drab to fab in only about 20 minutes! MirrorMate offers lots of different styles and colors too. After browsing around for a while, I'm going to have to say that my favorites are the Waterside, Pacifica and Portage collections. Unfortunately we didn't have any unframed mirrors to use Mirror Mates with at this point, but here are some great tutorials by a few others who can show you how quick and easy the MirrorMate products are to install! 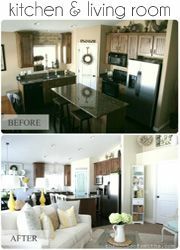 I love the simple, yet dramatic transformation it makes in each space. Everything just looks so much more finished and beautiful, don't you think!? Mirror Mate has offered to give one House of Smiths reader a $200 credit to spend in their store! Yahoo! That will definitely give you enough credit to custom frame a mirror in your space! Head on over to MirrorMate.com, brows the different style frames they offer and then come back here and let me know which one you'd chose, and where you'd put yours. Check MirrorMate out on Facebook and become a fan by liking their page, to stay updated on all of their new collection releases and promotions. You can also view some really great, informative videos on their Facebook page as well! When entering giveaways please make sure to leave your email/contact information if not connected to your account. 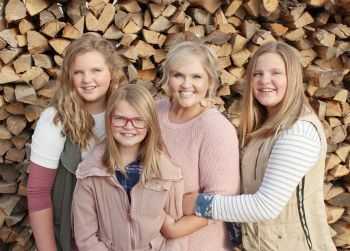 Please also take a quick minute to subscribe to The House of Smiths blog for lots of inspirational ideas, tutorials and projects! Having awesome readers like YOU is what makes all of our great giveaways possible! I would love the Grandezza Aged Silver for my master bathroom! Oh I've looked at the Mirror Mate site before and would love them for my house. I have at least 6 mirrors that I could update. Love the Tribeca style. Thanks for the chance to win! I think I would start by putting the pacifica white cap in our downstairs bath. Love this! I would do the Pacifica White Cap for my girls' bathroom redo! I "liked" mirror mate on fb! I love the Providence oil rubbed I would us in my master bathroom! Love the Waterside Pearl-would use it for a full length mirror in our master....thanks for this giveaway! Oh I can't decide, either the cherokee cherry or the pacifica white for my sad sad looking masther bathroom. I love the Chelsea classic in white-so cute!! !All my mirrors need these!!! I love the Pacifica White Cap, it would be perfect in our master bath! I like MirrorMate on FB! I would love the vinitain white wave! I would love to put it in my living room! I'd get the waterside pearl for our master bathroom ;) Thanks for the opportunity! I have been drooling over Acadia Dove White for some time now! Would love to use that in our main bath. I'm totally loving the Grandezza Aged Silver. Seriously beautiful. Thinking it'll look great in my master bath ... with my freshly painted cabinets. Hmmm - I think either the Permaquid Woods Canadian Walnut...or the Permaquid Dark Bronze - both would look great in our master bath! I have liked Mirror Mates on Facebook. I have a GIANT mirror in my kids' bathroom... I would love a Chelsea frame in white to make it look a teeny bit more custom! I would like the waterside pearl in white in my daughter's bathroom. The Tribecca burnished brown is the one I have picked out for our master bathroom; I've looked at these on multiple occasions, ha! Thanks for hosting this giveaway! I'd love to install the Acadia Dove White frame in my (rental) master bathroom! The Cherokee Slim in dark chocolate for my main floor bathroom! I love the Providence Oiled Bronze for my master bedroom. Or the Portage Pebble White for my hall bath. I have 3 mirrors I need to frame - love this company! I would love the Providence Oiled Bronze for my master bathroom. Or the Portage Pebbled White for the hall bathroom. 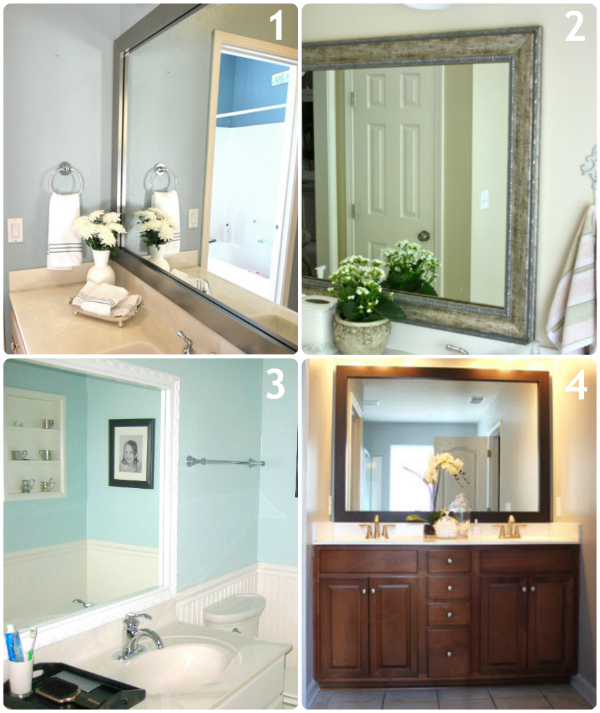 I need to frame 3 bathroom mirrors - love this company! I like the venetian silver wave and white wave!...and having just finished building we still don't have mirrors hung in any of our bathrooms so this would be really nice to win!!! I would do Acadia Dove White in my master bath. I would do Acadia Dove White in my master bathroom. Pacifica white for my kiddos bathroom! So cute. Pacifica white for my kiddos bathroom! Oh It would be soooo cute! Framing the builder-grade mirrors in our guest bath and master bath have been on our project list since we moved into this house last year. I'd use the Pacifica in White Cap in our guest bath and Acadia in Dove White in our master bath. I would get the waterside pearl for my master bath! What a great product and giveaway! I also love the Chelsea, but in Espresso for my upstairs hall bathroom! I also love the Chelsea Classic White. I so want to win this one. Crossing my fingers. I like Mirror Mate on Facebook. Love the waterside sea foam but I also like the arcadia. I like the Pacifica White Cap. We will be breaking ground on a new home in about a month...so I'm sure I can find plenty of spaces to use it! It's difficult to select one favorite....Waterside or Grandezza. I desperately need this for the guest bathroom upstairs. I don't even like to go in there because of the unframed expanse of mirror!! please pick me!!! I love the Portage Pebbled White for our main bathroom. Difficult to pick just one!! Grandezza or Waterside????? I desperately need this for the mirror in the bath upstairs....it's so ugly with the expanse of mirror over the vanity. please pick me!! My master bathroom NEEDS the Pemaquid Old World Silver! I like Mirror Mate on FB. I would love the pacifica in white for our guest bath! I would love the pacifica in white for our guest bath/kids bath! I'm a big fan of the pemaquid silver -- it would look great in the downstairs bathroom. The Chelsea Classic would be beautiful in my bathroom. I love these & have been wanting to do this for some time :) Thanks!! I love the waterside oyster. I would use it in my guest bath that I am in the middle of remodeling! The Grandezza Bronze would be perfect for our master bathroom! I think the venetian bronze wave style would really make my 3 x5 bathroom mirror look great! I think the venetian bronze wave would make my bathroom mirror look great! I would love the "Waterside" in "pearl." I have a place in my entryway that I have been DYING to put in HUGE mirror!! I LOVE the "waterside" collection in "pearl." I have a spot in my entryway that is aching for a big mirror to reflect sunlight!! I "liked" MIrrormate on fb. I love the tribeca black! I would put in our main bathroom. I want it for my master bath!!! I would love Tribeca in burnished brown for my upstairs bath. I want the Chelsea Black Satin! I'd like the Chelsea Black Satin for the guest bath! the waterslide in our bathroom! I like the Acadia Dove white so I could paint it in any color I choose. By the way, I have 3 of these builder grade mirrors in my home and really need to update them to something more stylish and modern. I think I would go with the Pemaquid Porcelain White in our master bathroom! I'm a simple kind of gal, so I would choose the Pemaquid Porcelain White in the Master Bathroom. I also became a fan of MirrorMate on Facebook! The Classic White frame would jazz up our guest bathroom in a jiffy. I would do the Pemaquid Slim Dark Cherry in my guest bathroom. I would do the Pacifica White Cap. The bathroom needs an upgrade in the mirror frame department! I would do the Pemaqid Slim Old World Silver for my master bathroom. What a great giveaway! I would love either the Chelsea Classic White or the Cherokee Slim Licorice for our guest bathroom. Thanks for the chance to win! What a great giveaway! I would love the Chelsea Classic White or the Cherokee Slim Licorice for our guest bathroom. Thanks for the chance to win! Gramercy Chadonnay for our master bath. I've been wanting to do it since we saw it when we initially viewed the house. I love the Waterside in Pearl. I would put it in our hall bathroom, it needs some sprucin!! It's so funny that you posted about this because I was just showing my husband your tutorial for this last week. We're moving to a new house and not even remotely handy. The new house has the plain old builder grade mirrors and I was trying to explain to my husband how we could purchase frames to go around the mirrors rather than rip them out (again, not handy at all). So I'm so glad you posted about Mirror Mate because I couldn't remember the name of the company that other people had already blogged about. We'd probably go with with the Chelsea Cherry Red to match the cabinets in both the master bath and guest bath. So pretty! I too would get the Chelsea Classic in White for my master bathroom! Broadway Brushed Chrome for the bathroom's huge, ugly builder grade mirror. What a great giveaway! I really need this for my upstairs guest bathroom. I've hated the mirror in there since we bought the house! I think I would choose the Pacifica White Cap! And I liked them on facebook too! I would put the black tribecca in my bathroom! Love the portage pebble white. I've been looking at mirror mate as I want to update my master bath this fall. So exciting! My husband and I are forever saying Shut the Front Door! and How Do It Know? (cause we are ~so~ smart-sounding around here... representin' in the deep south whup whup!) 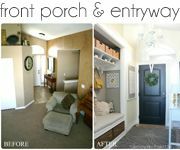 Point is, I have actually been reading and re-reading your bathroom frame tutorial because I have been brain-storming on how to redo our boring builder master bath into a distressed cottage style oasis. And now cue the freebie! I personally like the Acadia White. Whatever I would pick, I would probably still find myself distressing it. Cause I distress and/or monogram anything that doesn't move! Chelsea Espresso!! And I would get two for the master bathroom, then put shelves in between. I would love the Waterside Pearl - we are moving at the end of the month and have to renovate the bathroom at our new house . . . this would be perfect! I also "liked" Mirror Mate frames on Facebook! The timing of this giveaway is perfect! I was planning to do Mirror Mate for my master and guest bathrooms. Having the $200 credit will allow me to do it sooner. I love the Cherokee in Dark Walnut for both bathrooms. I would order the waterside.! LOVE it! 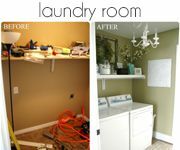 I just re-read your bathroom transformation post (yesterday) trying to work up the courage to do this myself. I would love to win. (It would save me some work!) I also like the Chelsea Classic in White. What an ironic post today! We were just at the home improvement store picking out things for our bathroom face lift. I looked for trim for our mirror but couldn't find what I was looking for. I just gave up and decided to come home and refer back to your mirror update post. How surprising when I got to your page to see that post referenced AND a giveaway for a quick, easy way to accomplish the same look! It's a toss up for me! I'd chose either the Chelsea Pewter Bronze, or the Chelsea Black Satin. I'm not sure what direction I'd like our master bath to take - so it's hard for me to pick!!! I'd love the Broadway brushed chrome in Slim (we need a slim mirror frame to allow for a heat vent), and it would go in our one and only bathroom! My master bathroom needs some serious mirror love. Chelsea expresso. I love the Portage Pebbled White! I need a new mirror in my creepy bathroom so buying one without a frame would save us a lot of money! I want this!!! The Chelsea Classic in White is what I would put in my master bath. I absolutely loved Broadway Brushed Chrome loved the Broadway Brushed Chrome, or even the classic in white! Oh my! What a great giveaway! I would love the Cherokee Slim Licorice for my master bath! LOVE! Also I became a fan via FB! I love the Pacifica White Cap. I would put it on my guest bathroom mirror. I love the Tribeca Burnished Brown and Silver - Awesome!! I want the Portage Pebbled White for my boys' bathroom! It would be OH SO CUTE! I'm a FAN of MirrorMate on FB! oh WOW what a transformation these make! I would choose the Waterside in Seafoam, perfect for my master bathroom. Thanks for the chance to win a wonderful prize! Happy happy Monday! I love so many of them it's hard to choose! Probably the cherokee in dark walnut for our basement bathroom. I love the Tribeca Black for my master bedroom! I think the Tribeca Black would look fabulous in my master bathroom! The Chelsea brushed bronze in my guest bathroom. That's just what it needs!! I am loving the chrome. I think it will modernize my space with very little effort. I love the Providence in Oil Bronze for my master bath! I love the Meditierra Glazed Stone and I would do my master bath! Oh and I liked MM on FB too! I love the Chelsea Pewter Bronze for my big master bath mirror! Such gorgeous options! I would do the Mediterra glazed stone in my master bath! I would love the Chelsea Pewter Bronze! It's perfect for my master bath. My fingers are crossed! Acadia Dove White! Swoon! Perfect for my hall bathroom! I really think I like the paintable sections. Would love to put some funky color on it and put it in the girl's bathroom. If only someone was doing a giveaway for a light fixture - then life would be grand in their bath. I would pick Pemaquid Dark Bronze for my master bathroom. I would LOVE the white one with the sanded edges but if they dont have that one I like the Arcadia Dove White frame for my guest bathroom! I love the pacifica white cap! It's beautiful! And I'd love it for my master bathroom!! I would LOVE the white one with the sanded edges but if they dont have that one anymore I like the Arcadia Dove White frame to put in our guest bathroom! THANK YOU for offering this contest~I am SUPER excited!!! I love the Pacifica White Cap. I'd LOVE to spruce up the mirror in our guest bathroom!! Canadian Walnut would look lovely in my master bathroom! I would love the Chelsea Classic in White. 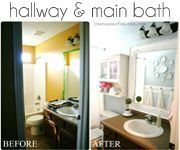 I have a master bath mirror in desperate need of it!!! I love the Chelsea Classic in White. I have a master bath mirror in desperate need of this!!! I would LOVE the white frame with the sanded edges if they still have that one if not I also like the Arcadia Dove White frame, we would put it in our guest bathroom!!! THANK YOU for offering this I am SUPER excited! I "liked" MirrorMate on facebook! I really like the the Chelsey brushed bronze. I would put it in both of my itty-bitty bathrooms to dress up the crooked mess the builder made. I would love the Pemaquid River Rock in my master bathroom! This would be perfect I have a builder grade mirror sheet which takes up a double vanity and it's so blah I would love the Grandezza Aged Silver!! This would be perfect for My master bath I have a builder grade mirror sheet that sits over a double vanity and it is so blah I would lover the Grandezza Aged Silver!! I love the Pacifica Brown Leather. I would put it in the master bathroom. Wow! What a fantastic idea this business has captured! I would love to have the Chelsea Espresso in our guest bathroom. What a difference it would make! I love the Pacifica Brown Leather. I put it in my master bathroom. I love the Waterside frame in Pearl! It would look so lovely in our master bathroom! Thank you so much for the giveaway! Love your blog!! Thank you so much for the giveaway! Love your blog!!! I love the Waterside and the Pacifica!! GORGEOUS!!! the chelsea in espresso needs to be in my master bath! liked mirror mate on facebook! I would love to win the Chelsea frame for my bathroom! I would love the Pacifica black leather frame around my mirror in our master bath. What a cute idea...I would've never thought of it! I would put a Waterside Pearl in the kids' bathroom. It has the most awful tarnished brass half inch trim around it, and it's screaming for a makeover! wow, so many to love...but i think Tribeca Burnished Brown and Silver is my fave. it will look magnif in my LR...love! I loved Waterside Seafoam! Lovely! I don't do Facebook but I like Mirror Mate;). So hard to decide! I think I'd choose Soho Matte Black for my master bathroom. Maybe the Pacifica White Cap for either our downstairs bathroom that will be put in this winter. I think the Pemaquid in Porcelain White would be perfect for my Kid's Bathroom! I like the Pemaquid Porcelain White. I would probably put it in my guest bathroom. Bellemeade Vintage Silver is my favorite. I like the Pemaquid Porcelain White. I would put it in my guest bathroom. Grandezza Aged Silver is perfection. My powder room is in desperate need. I "liked" Mirrormate on FB, thanks for sharing this company with us! I had no idea they existed! I would love the Portage Pebbled White for my guest bathroom!! Pacifica White Cap is exquisite! Love it! It is exactly what I've been looking for! My favorite is the Chelsea Classic. We have 3 bathrooms that need updates! I would use Gramercy Aged Bourbon b/c it perfectly matches an antique mirror passed down to me from my grandmother. I would use it in all 3 of my bathrooms due to the nostalgic nature of the design. I like the Broadway Brushed Chrome. I would put it in my mater bathroom!! !